May 16, 2017 (Tony Cartalucci - LD) - It is unfortunate that despite the practice of Western-backed color revolutions becoming a widely familiar tactic exposed across the alternative media including larger national networks like RT - ideology, emotions, and ignorance are still being used to perpetuate this tactic in the service of Western special interests. More unfortunate still is that occasionally the alternative media charged with exposing these tactics ends up an unwitting accomplice because of sloppy research, emotions, and ideology taking over where realism, fact, and solid research should guide headlines and analysis. Not only is Western-backed regime change still being carried out on well-known battlefields like Syria, it is a tactic the West has aimed at other nations all around the world from Venezuela to Azerbaijan, and from North Korea to Thailand. The West depends on touching raw ideological and emotional nerves to circumvent the facts regarding who opposition groups really are, who funds them, and what wider agenda their activities truly fit into. However, when a nation, leader, or institution suddenly finds itself under concerted attack by the West, warning bells should go off. Thailand is the only Southeast Asian state to avoid Western colonization. For seven centuries Thailand has been unified and led by its own sovereign institutions including its widely revered monarchy. Modern attempts to overthrow and replace the monarchy by British and American interests stretch back to an Anglo-American backed coup in 1932 that ended absolute monarchy in Thailand. Since then, attempts have been made to co-op or topple the monarchy, up to and including present day. 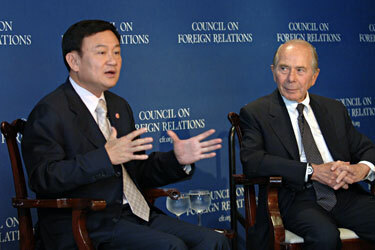 Image: Thaksin Shinawatra, client regime of choice for US and European special interests. Currently, efforts to destabilize, divide, and destroy Thailand are led by US-backed opposition groups and an ousted US client regime headed by billionaire Thaksin Shinawatra. He assumed office as prime minister between 2001-2006. In 2006 he was ousted in a military coup. He has attempted to seize back power in two Western-backed color revolution - the color of choice being "red" - in 2009 and 2010. His sister, Yingluck Shinawatra, would assume the office of prime minister as his illegal proxy between 2011-2014 before a second coup ousted her from power. 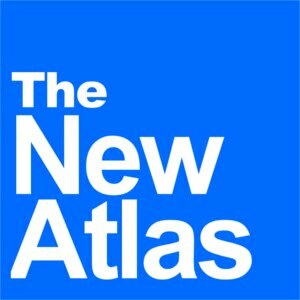 Throughout the process, the Shinawatras' efforts to take and hold power has been augmented by fronts funded by the US State Department's National Endowment for Democracy (NED), convicted financial criminal George Soros' Open Society foundation, and a collection of other US and European government funds. Posing as nongovernmental organizations. "academics," media platforms, and student groups, these fronts have worked not specifically on promoting the Shinawatras, but instead on concerted attacks aimed at the Shinawatras' opponents - Thailand's independent institutions. 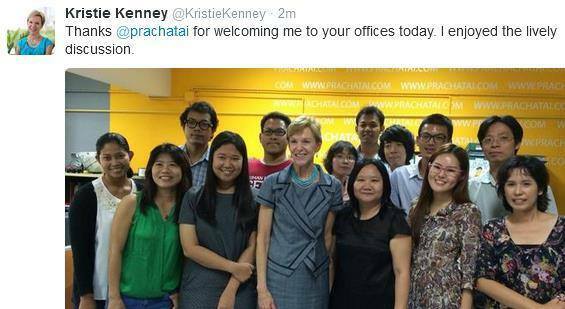 Image: Former US Ambassador Kristie Kenney touring US-funded Prachatai's office in Bangkok, Thailand. Prachatai had previously denied it was funded by the US government despite the information being available on the US NED's own website. These include Prachatai - who initially both withheld information about its US State Department funding and even lied to its readers about a lack of resources while soliciting cash from them - fronts like the Thai Lawyers for Human Rights, Democracy Cafe, ENLAWTHAI, and many others. Many share offices, openly collaborate and coordinate campaigns among themselves and with the Western media, and many have gone through great lengths to conceal or downplay the significance of their US funding and their dealings with US representatives. And while these fronts claim they stand for "human rights" including "democracy" and "free speech," they selectively target Thailand's independent institutions while omitting, spinning, excusing, or otherwise deceiving the public regarding abuse carried out by the Shinawatra regime and its supporters. This includes covering up concerted and widespread terrorism, mass murder, and an array of very real human rights abuses. "Thailand is a nation many are not familiar with. The concept of "monarchy" to many in the West is unappealing, and issues of "free speech" regarding it get almost instinctual and unconditional support. Exploiting this ideological and emotional flaw, the West has managed to get many of the sharpest minds in the alternative media to help spread their concerted attack rather than expose it." More important than understanding US designs for Thailand is understanding that they go beyond dividing and destroying a single nation. It is part of a much larger and long-term agenda of encircling and containing China either with a unified front of US-controlled client regimes, or failed states that drag Beijing down in a series of political, economic, and security crises. 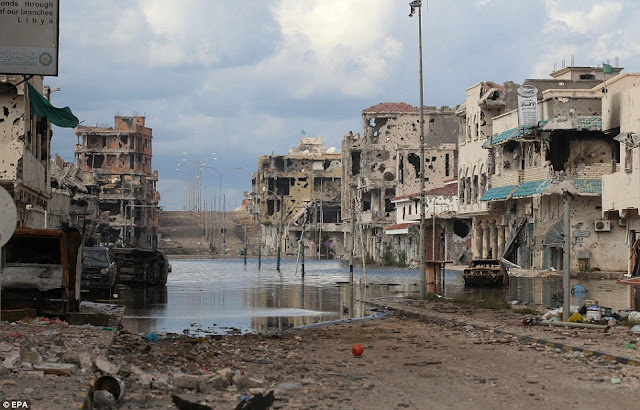 It is a verbatim replay of other US-backed destabilizations either having already divided and destroyed other nations around the world, or currently consuming them. Despite the obvious body of evidence regarding Thailand's current and ongoing political crisis, some are still falling for the same tricks and tactics used to garner support for US regime change operations elsewhere such as in Libya, Egypt, Syria, Ukraine, and beyond. 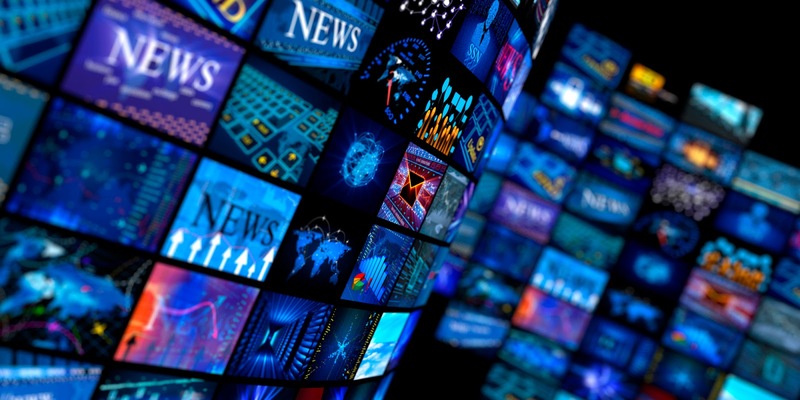 In order to get an increasingly astute global public to forget the West's history of meddling worldwide and to sidestep evidence of its involvement elsewhere, the Western media seeks ways to prey on ignorance, emotions, and ideology. An example of this comes in the form of an unfortunate article gracing RT's headlines regarding the current Thai head of state, King Maha Vajiralongkorn. The video included in the article itself allegedly features inconsequential details of his private life, depicting him on an outing abroad with "tattoos" covering his upper body. Despite its inconsequential nature, it was spread across the Western media in a deliberate and concerted manner. It is a "juicy" video for gossipers and those seeking to present the head of state of a nation targeted for US-backed regime change in an unflattering light. Image: US-backed regime change almost always includes heavily armed militants killing not only government forces, but also protesters to create a cascade of chaos. 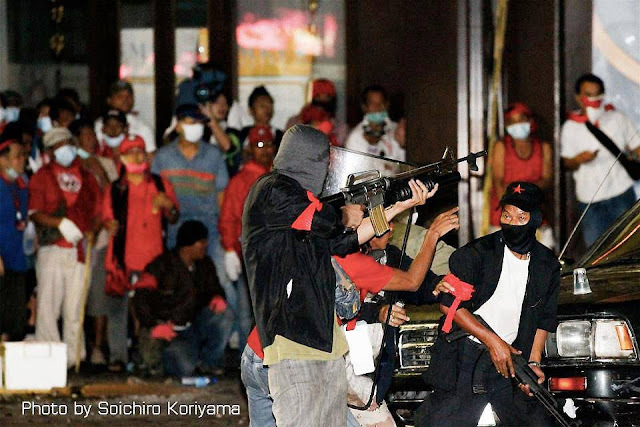 This was also the case in 2010 when US-backed mobs attempted to overthrow the Thai government, Thailand's institutions, and trigger widespread chaos. It failed, but further attempts are still underway. That the Western media is now eagerly and concertedly attempting to undermine the Thai head of state and create controversy over the Thai government's reaction should immediately have warning bells go off for any objective analyst applying critical thought. But because of ideology, emotions, and sloppy research, many have failed to hear these bells. Thailand is a nation many are not familiar with. The concept of "monarchy" to many in the West is unappealing, and issues of "free speech" regarding it get almost instinctual and unconditional support. Exploiting this ideological and emotional flaw, the West has managed to get many of the sharpest minds in the alternative media to help spread their concerted attack rather than expose it. In reality, King Maha Vajiralongkorn and his circle of advisers represents a continuity in leadership and principles that have guided Thailand through centuries of stability and defended it against centuries of attempts by outside powers to subjugate and colonize it. This goes far in explaining why the Western media has committed to a concerted effort to undermine and overthrow this institution. For the majority of Thais, they revere their institutions and share pride and prestige with them in a way unique from Western "monarchies" and "democratic" institutions. They have been unphased by literally decades of rumors and slander aimed at their institutions by the Western media. The Thai government's move to control the spread of Western-backed sedition across social media like Facebook is not out of fear of the truth, but out of fear of what Western-backed lies have done to other nations when allowed to spread unchecked. Image: The final result of US-backed regime change - a result many in Thailand and across the rest of Asia would rather avoid. The West's ability to create the illusion that the majority of a population stands against a targeted nation was key in provoking and perpetuating the crisis in Syria. That Syria has failed to fall precisely because the majority was not behind regime change, exposes not only this tactic, but the absolute danger of not stopping it in time. Clearly, there is much more behind this story than meets the eye. RT has been instrumental in telling both sides of stories like these, and hopefully will continue to do so. It was encouraging to see in the comment section of the story, regular readers of RT catching on to the possibility that the controversy represents Western-backed agitation more than an issue of "free speech." Hopefully RT will be more careful in the future and continue exposing and opposing Western lies rather than serving as a means of magnifying them. As for those in the alternative media who have lent this narrative credibility, they stand as proof that there are still buttons the West can push even among the most informed to illicit emotional and ideological knee-jerk reactions where sober analysis and research should be applied.